Much of VR content is formed by filming and preserving 360 views. Some viewers confess being stuck in the middle and being exposed to 360-degree view out of context. 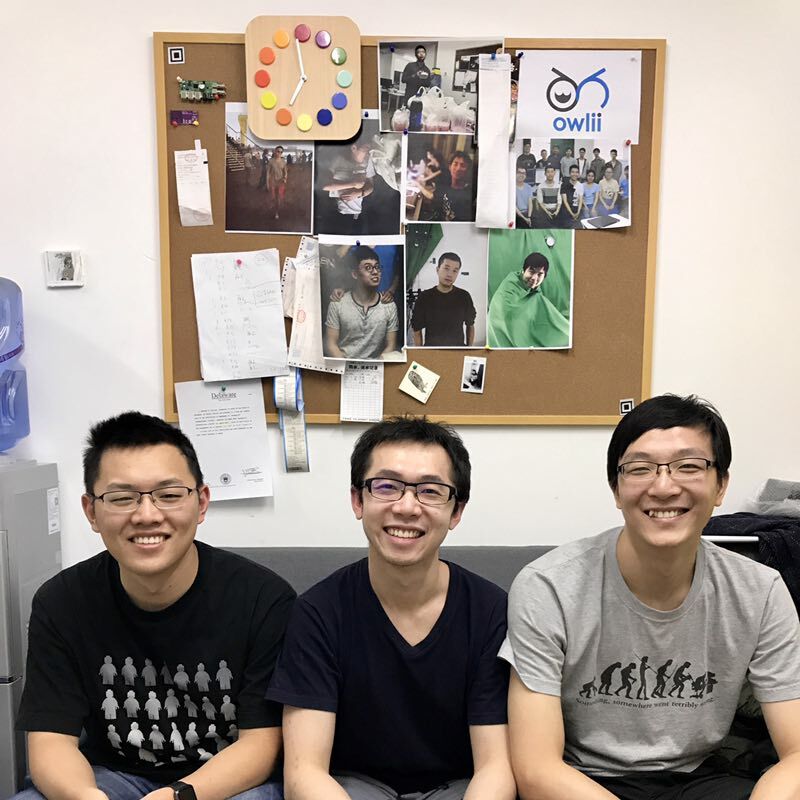 Owlii, a startup founded by Tsinghua PhDs in 2016, aims to best preserve people as real as possible in virtual reality, helping users to record their memories. Owlii creates lifelike holograms that can be viewed via both VR and AR using their volumetric capture and 3D reconstruction technology. The Beijing-based VR company has received a US$ 1.5 million investment from several investors including Shunwei Capital, an early stage focused investment firm co-founded by Xiaomi’s CEO and founder Lei Jun. In Owlii’s demo, you can see its holographic applications around mobile AR. So how does this work? When body movements are scanned through 4 to 20 depth cameras, which the team has self-prototyped, they go through Owlii’s volumetric capture and 3D reconstruction processes, which brings 3D holograms to life. Users can then watch their memories using VR headsets and AR headsets. Their core technologies have a US PCT application patent, two US provisional application patent, and more in the process. Ziyu said that there aren’t direct competitors in the market, but there are some companies that possess comparable technologies, including US-based 8i, creating life-like 3D holograms for entertainment, and Microsoft Research on holoportation, virtual 3D telepresence software to match its AR headset HoloLens. South Korea-based Reality Reflection is using 160 DSLRs to create 3D models, however, Ziyu says Owlii outperforms these competitors for a couple of reasons. Owlii’s vision is greater than just more realistic AR/VR video. Owlii projects that its technology will bring to market ‘holographic telepresence,’ or in other words hologram based video conferencing. The easy way to think of telepresence is making communication via holograms possible, just like how remote meetings and messages are delivered in the movie Star Wars. Ziyu believes that the markets impacted by Owlii technologies total in the hundreds of billions USD, and could not only transform communication and entertainment but also have an impact on business transportation and the physical world. The technology behind Owlii is derived from the team, comprising of PhDs and scientists from Tsinghua university, Stanford, Carnegie Mellon, and Cornell with a background in computer vision, computer graphics, communication, machine learning, electrical engineering, and multimedia. In the Wudakou area, sitting close to Tsinghua University’s front door, the team is renting an apartment going through R&D to make Owlii’s 3D hologram more interactive. Ziyu says their current R&D is targeting better quality, faster processing, and easier setup, such as making the users’ movements scannable to 3D holograms using their mobile phone and drone. While Owlii’s vision remains focused on bringing to market holographic telepresence, its underlying technologies can be applied to a bevy of other applications from creating 3D holographic memories, such as wedding photos, and graduation photos, to mobile AR hologram experiences. Owlii is currently exploring a number of ways to commercialize its technology in the near term. Ziyu says the company is in talks with entertainment companies and other corporate entities to run pilot programs. There is particularly strong potential in China, a land filled with a tech-savvy user base that expects innovation and the latest technologies for entertainment like offline virtual reality arcades.